Blood (red) flows through newly grown blood vessels in a human brain organoid (green) implanted in a living mouse.ABED AL FATTAH MANSOUR, SALK INSTITUTEMouse brains make nice homes for human brain organoids, researchers report today (April 16) in Nature Biotechnology. Brain organoids, also known as mini-brains, are tiny clumps of brain cells grown from stem cells that researchers are using to investigate the neural underpinnings of autism and other neurological disorders. But the organoids typically grow in culture for only a few months before they die, limiting their usefulness as models of real brains. 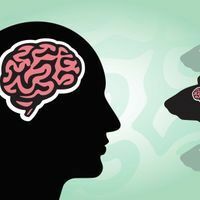 Transplanting the three-dimensional clumps of human brain tissue into the brains of mice allows the organoids to continue to develop, sprouting life-sustaining blood vessels as well as new neuronal connections, the new study reports. The work takes a step toward using brain organoids to study complexities of human brain development and disease that can’t be investigated with current techniques. Brain organoid transplantation may even one day offer a treatment option for traumatic brain injury or stroke. As he thought about the problem, Gage was reminded of work he did in Sweden with neuroscientists Ulf Stenevi of the University of Gothenburg and Anders Björklund of Lund University in the 1970s and 1980s: the researchers transplanted neuronal rat tissue into cavities made in rats’ brains to see if the tissue would grow. It did. Gage envisioned that each human brain organoid would slip right into a tiny cavity made in a mouse’s brain. He was right. Gage’s team used human pluripotent stem cells to develop brain organoids, which were grown in culture for 40 to 50 days. Then, the team inserted the organoids into cavities made in mice’s retrosplenial cortex—a region critical for movement and spatial learning. The mice had “humanized” immune systems, Gage says, meaning that their immune cells had been engineered not to attack human tissue. Around day 5 after transplantation, blood vessels in the organoids could be detected using a fluorescent dye, and by day 14 an extensive network of vessels had grown deep within the human tissue graft. Levels of certain markers in the organoids, such as NeuN+ and PSD95, also showed that the human neural precursor cells were maturing into neurons and forming synapses to connect to each other. 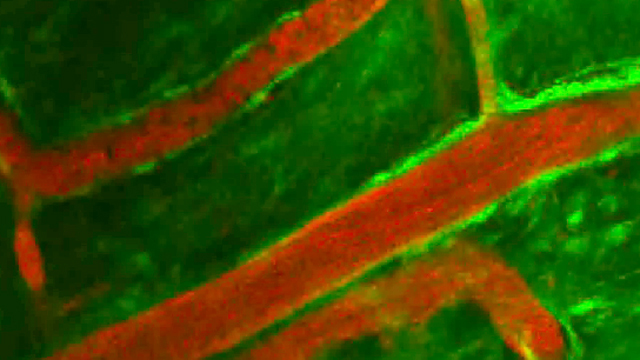 At 90 days after implantation, the scientists traced axons extending from the graft deep into the brains of the mice. Calcium imaging also showed that the neurons in the organoid were not firing sparsely, with isolated activity, as in cultured brain organoids, but in synchronized patterns, suggesting an active neuronal network was developing. 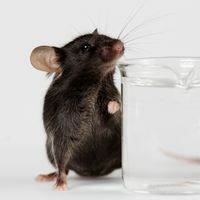 Additionally, optogenetics experiments showed that the organoids’ neurons were integrated into synaptic circuits in the mice’s brains. “The ultimate test of functionality of an organoid is to show that it can integrate into a host,” molecular geneticist Hans Clevers of the Hubrecht Institute in Utrecht, the Netherlands writes in an email to The Scientist. Clevers, who was not involved in the study, and others have shown such functionality of “relatively simple organoids,” such as intestinal epithelium, liver, or pancreas tissue. But, he says, mini-brains are “by far the most complex structures that have been grown as organoids.” Gage and his colleagues “provided evidence that blood vessel- and neuronal connection are created extensively between the grafted ‘mini-brain’ and the mouse brain,” he adds. Such organization is why researchers want to study organoids, specifically cerebral ones, in vivo. “The function of the brain arises not just from interactions between individual neurons but also from the combined activity of groups of neurons arranged in specific structures,” neurosurgeon Isaac Chen of the University of Pennsylvania who not involved in the study, tells The Scientist by email. “In cell culture, this structure does not exist, and thus there are inherent limitations to what types of experiments can be performed and what conclusions can be drawn.” Studies of the brains of model organisms do allow for investigations of how brain activity arises from groups of neurons and how different groups of neurons interact with each other. 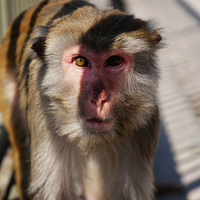 But, he says, significant species differences limit generalizing the results to the human brain. Implantable brain organoids could allow researchers to learn more about normal human brain development over time, Chen says. 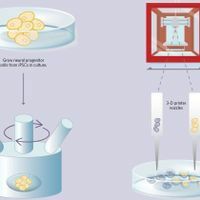 Organoids derived from patients with specific diseases could also be transplanted to create more accurate models of those diseases. And the existence of a workable transplantation method could allow scientists to study the advantages and limitations of using brain organoids as a treatment option to replace tissue lost or damaged by traumatic brain injury, stroke, and other neurological conditions. A. Mansour et al., “An in vivo model of functional and vascularized human brain organoids,” Nat Biotechnol, doi: 10.1038/nbt.4127, 2018.